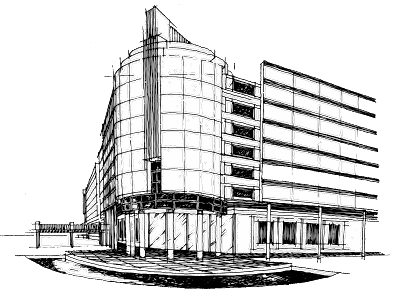 Dan Ionescu Architects & Planners (DIAP) provides a full range of planning and architectural services for commercial clients. Working to meet the clients and users needs, creative, efficient and cost effective solutions are designed and developed. With over four decades of experience, DIAP understands how to maximize opportunities, optimize spaces and create pleasant and functional working environments. The creative team at DIAP produces sophisticated designs, with innovative solutions tailored to take full advantage of the opportunities and challenges of each project. 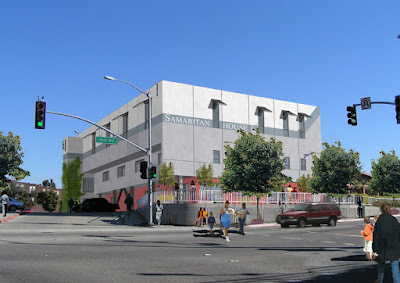 This major remodeling for the new headquarters of the Samaritan House includes administrative offices, case management facilities, meeting rooms, food storage and distribution areas, a thrift store, and a commercial kitchen. An intelligent approach for building and phasing strategy: maximize absorption and occupancy and mitigate risk while enhancing the value of the next phases. DIAP's San Mateo office space is a reflection of our firm's creative process. 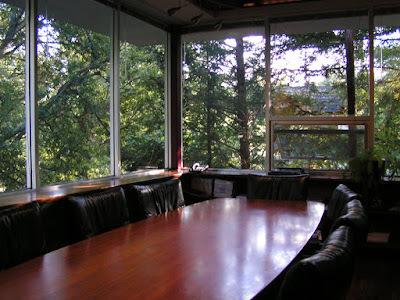 With an open floor plan, spaces flow into each other, and can be divided by movable glass panels.